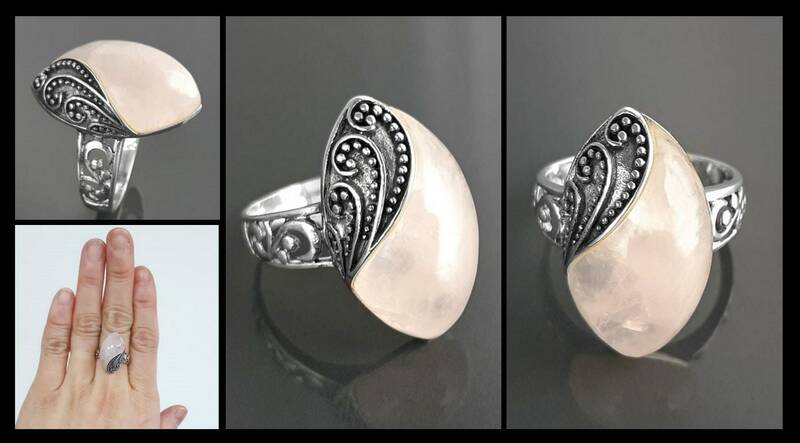 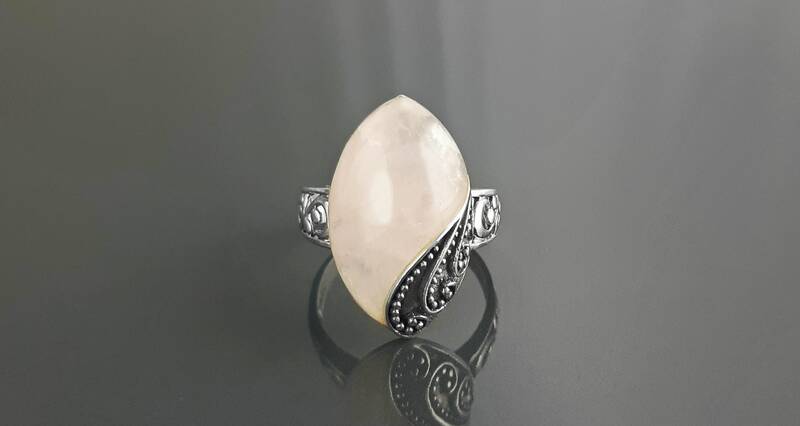 This Gorgeous Ring features an intricate Boho Filigree coiling around the Stone held in the centre, which is a Real Almond-shaped Rose Quartz Gemstone. 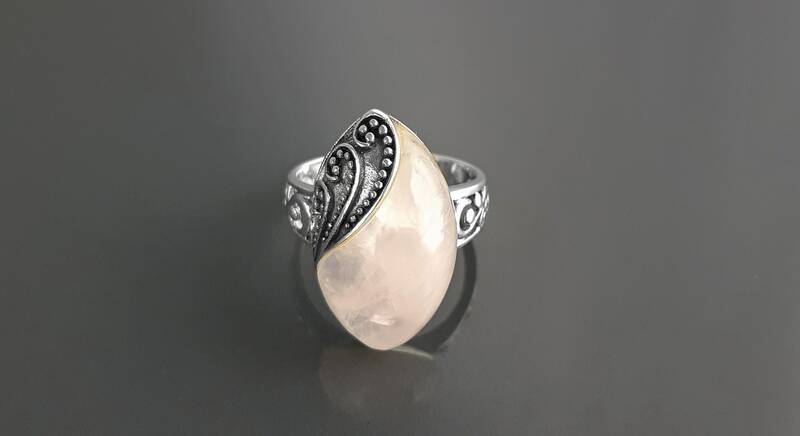 The Shank is slightly oxidized to show detail and looks lovely with the Rose Quartz Brightness. 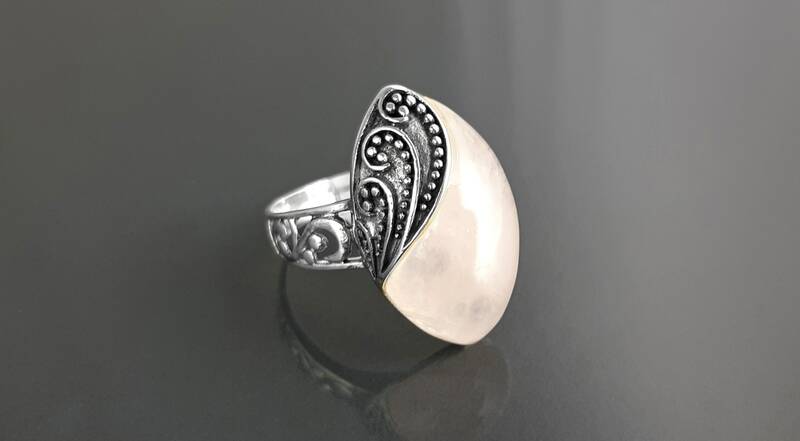 A Bit of a Antique Look with a Boho Spirit. 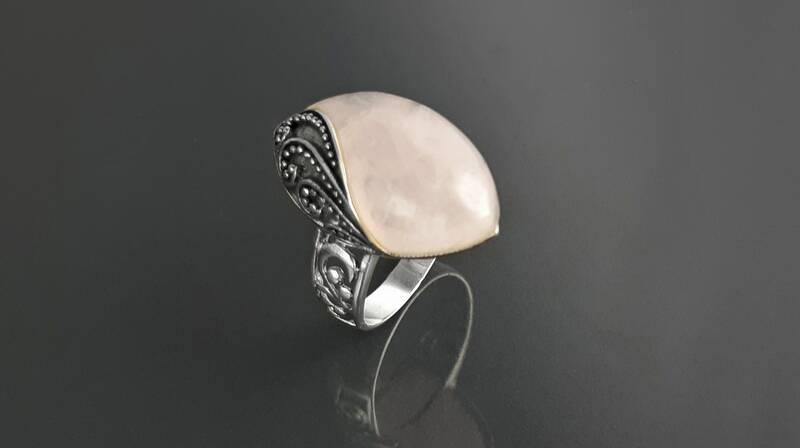 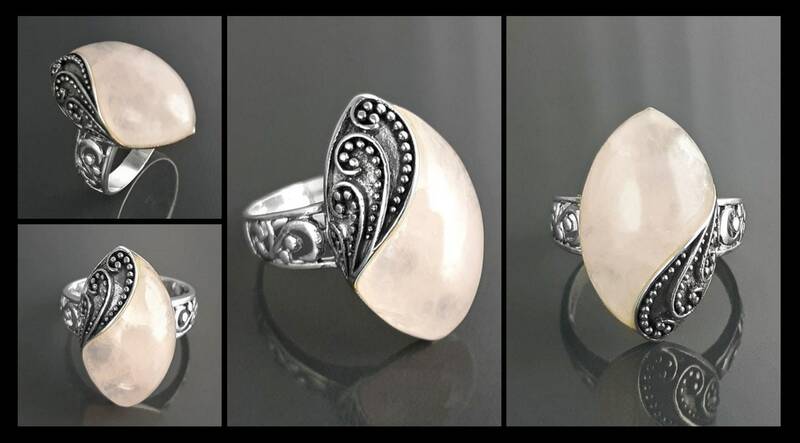 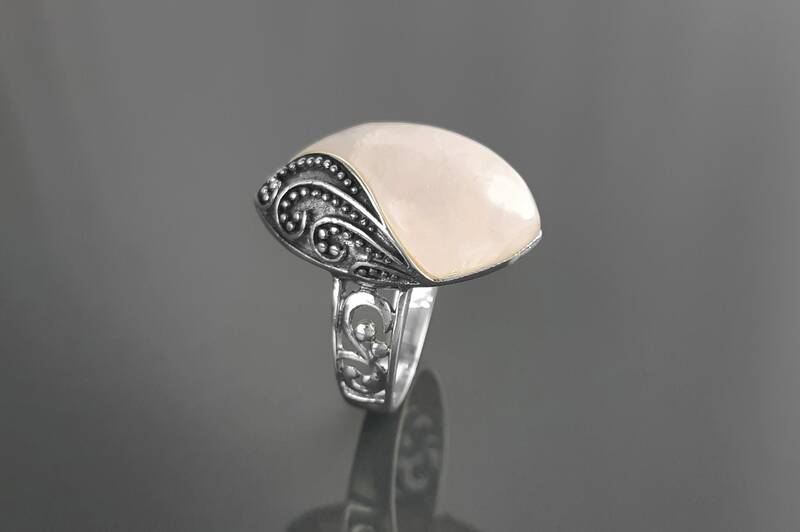 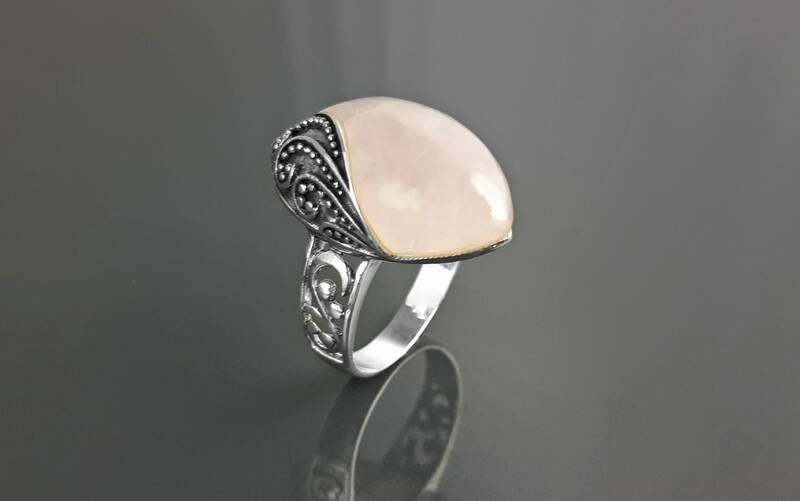 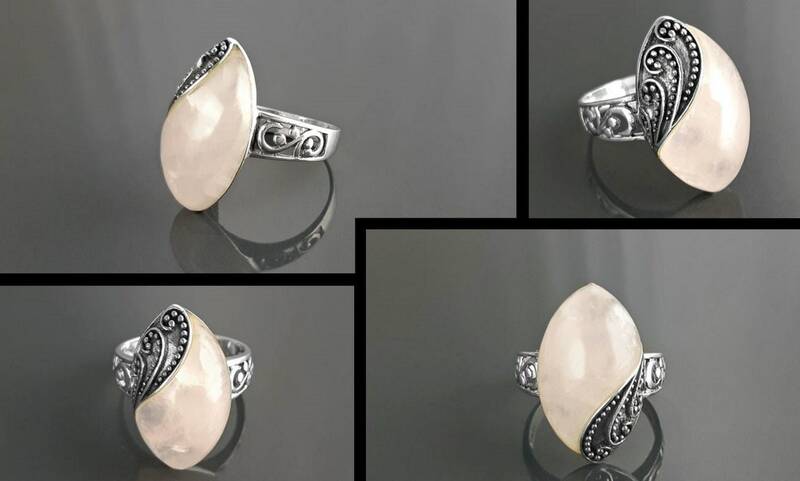 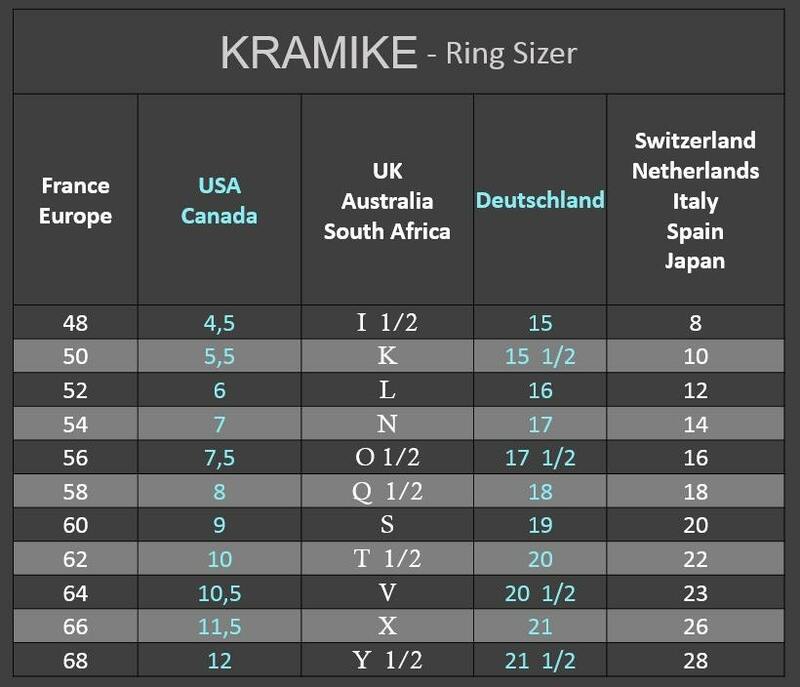 Ring features a 2.5 cm length and 1.5 cm wide Rose Quartz Cabochon.